A new report has criticised the pricing model in place for nursing homes in Ireland. THE GOVERNMENT’S APPROACH to providing the country with nursing home beds has been slammed by a major representative body. Nursing Homes Ireland (NHI), the body that acts for private and voluntary nursing homes, has hit out at how the government makes provisions for the sector. Most of this criticism focuses on the pricing model that is in place in the sector, which has been branded “not fit for purpose”. This related to fees paid by the HSE to private nursing homes to subsidise residents. In a new report commissioned by the Department of Health, it is noted that fees currently do not take into account the level of dependency by residents in nursing homes – something that has skewed pricings and stunted investment. The stark findings within this analysis highlight the absurdity of this government not addressing the very serious issues surrounding care provision within the nursing home sector in an urgent and meaningful way. In the report the possibility of a future supply gap created by the pricing structure is warned against. 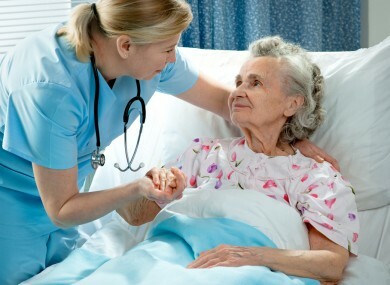 Currently there are around 29,600 residential care beds in operation in Ireland. It is estimated that around 700 private sector beds will be added in 2016 and 2017, mostly in the Dublin area. After that it is assumed that around 400 extra beds will be added per year after that. It is anticipated that this will create issues as the population continues to age. The possibility of introducing public private partnerships is also included in the report, something that is said to have the advantage of being off of the State balance sheet. Email “The pricing model for nursing home beds slammed as 'not fit for purpose' ”. Feedback on “The pricing model for nursing home beds slammed as 'not fit for purpose' ”.